Welcome to Munster Motor Museum & Classic Cars! 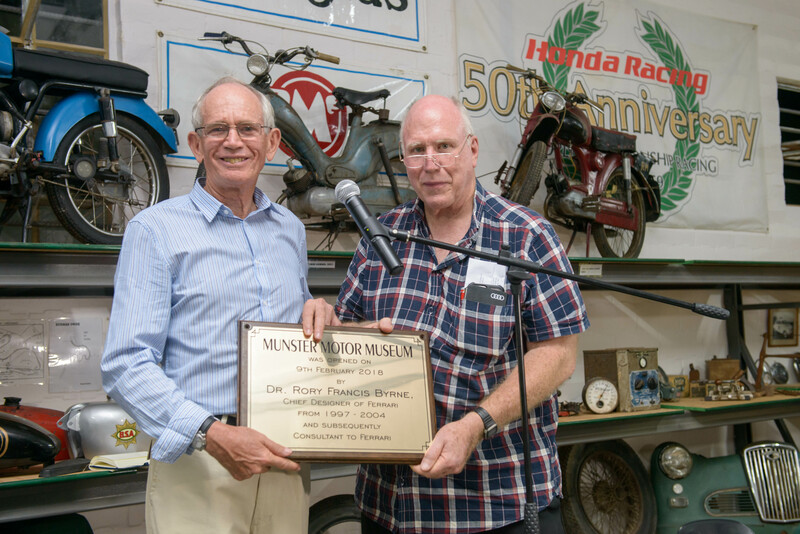 Munster Motor Museum was opened on the 9th of February 2018 at a very exciting evening occasion with nearly 300 people present. We were also honoured by the presence of Dr Rory Byrne, the man that designed every one of Michael Schumacher’s World Championship winning Ferraris, who did the official opening. Classic Cars & Motorcycles, after a number of successful years in Margate, found its new home in the Munster Motor Museum, offering an ever changing collection of old vehicles available on display and for sale.